Russia and Egypt are discussing the details of a contract on the delivery of Russian-made communications and control systems for the Mistral-class amphibious assault ships to Cairo, a spokesman for the United Instrument-Manufacturing Corporation told TASS on Monday. A final decision has not been made yet, the spokesman said. The United Instrument-Manufacturing Corporation, part of Russia’s state hi-tech corporation Rostec, is the producer of the equipment of this type. "The talks are proceeding with the participation of Rosoboronexport [Russia’s arms exporter] to deliver communications and control systems for the Mistral-class helicopter carriers," the spokesman said. "Substantial progress has been made. The ships are likely to be furnished with Russian-made equipment but a final decision has not been made yet," he added. "The sides are discussing the details of the contract," the source said. According to the spokesman, the equipment Egypt needs differs considerably from the systems Russia has manufactured to use the Mistral-class helicopter carriers as part of its Navy by its composition and characteristics. "There is clear understanding that our manufacturing facilities can fulfill this order on time and meet all the requirements of the foreign customer," the spokesman said. As the spokesman said, the Russian-made equipment has been fully dismantled from the Mistral-class amphibious assault ships and brought to Russia. "Certain items have been brought to training centers, some items have been delivered to a Russian Navy base," the spokesman said. France signed a contract with Russia in the summer of 2011 for the delivery of two Mistral-class amphibious assault ships to the Russian Navy. In 2014, France froze the delivery of the ships over Moscow’s stance on developments in neighboring Ukraine. In 2015, Russia and France agreed on the contract cancellation. The contract was cancelled in August 2015. Under the agreement, Russia was expected to get back a sum of about ˆ949 million and the Russian-made equipment mounted on the Mistral-class amphibious assault ships. After that, France could use the ships it had built at its own discretion. 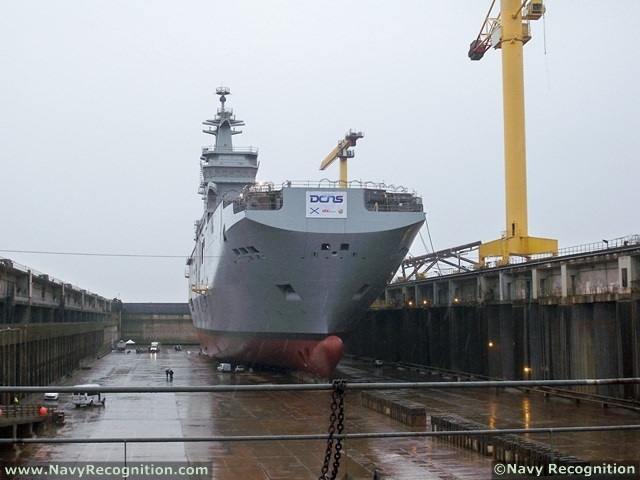 Shortly after that, Egypt purchased the Mistral-class helicopter carriers from France.